Muqarnas is the Arabic word for stalactite vault, an architectural ornament developed around the middle of the tenth century in north eastern Iran and almost simultaneously, but apparently independently, in central North Africa. Two points about these new forms are of importance. One is that, from the late eleventh century on, all Muslim lands adopted and developed the muqarnas, which became almost as common a feature of an elevation as the Corinthian capital was in Antiquity. The second and far more important point is that, from the moment of its first appearance, the muqarnas acquired four characteristic attributes, whose evolution and characteristics form its history: it was three-dimensional and therefore provided volume wherever it was used, the nature and depth of the volume being left to the discretion of the maker; it could be used both as an architectonic form, because of its relationship to vaults, and as an applied ornament, because its depth could be controlled; it had no intrinsic limits, since not one of its elements is a finite unit of composition and there is no logical or mathematical limitation to the scale of any one composition; and it was a three-dimensional unit which could be resolved into a two-dimensional outline. 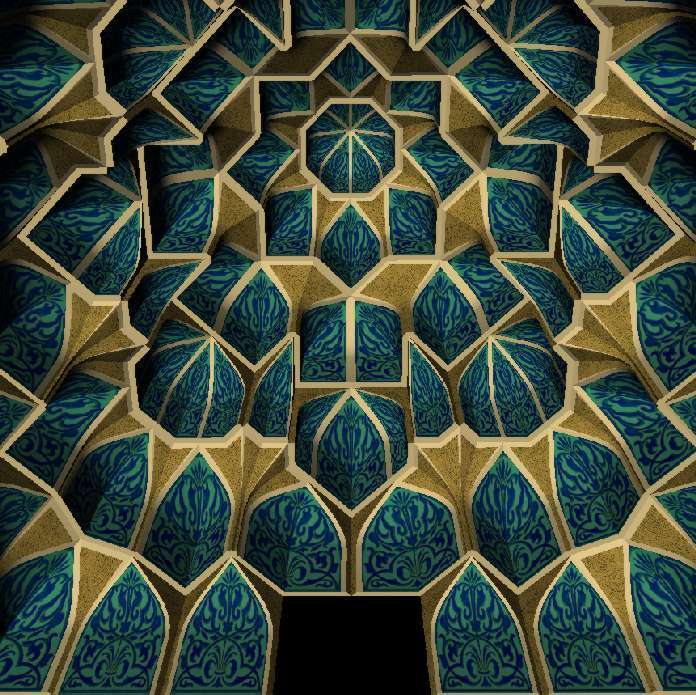 Al-Kashi distinguishes four types of muqarnas: The Simple Muqarnas and the Clay-plastered Muqarnas, both with plane facets and roofs, as well as the Curved Muqarnas, or Arch, and the Shirazi, in which the roofs of the cells and the intermediate elements are curved. 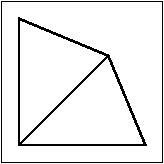 The plane projection of a simple element (either cell or intermediate element) is a basic geometrical form , namely a square, half-square (cut along the diagonal), rhombus, half-rhombus (isosceles triangle with the shorter diagonal of the rhombus as base), almond (deltoid), jug (quarter octagon), and large biped (complement to a jug), and small biped (complement to an almond). 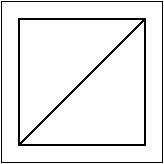 Rectangles also occur. The elements are constructed according to the same unit of measure, so they fit together in a wide variety of combinations. 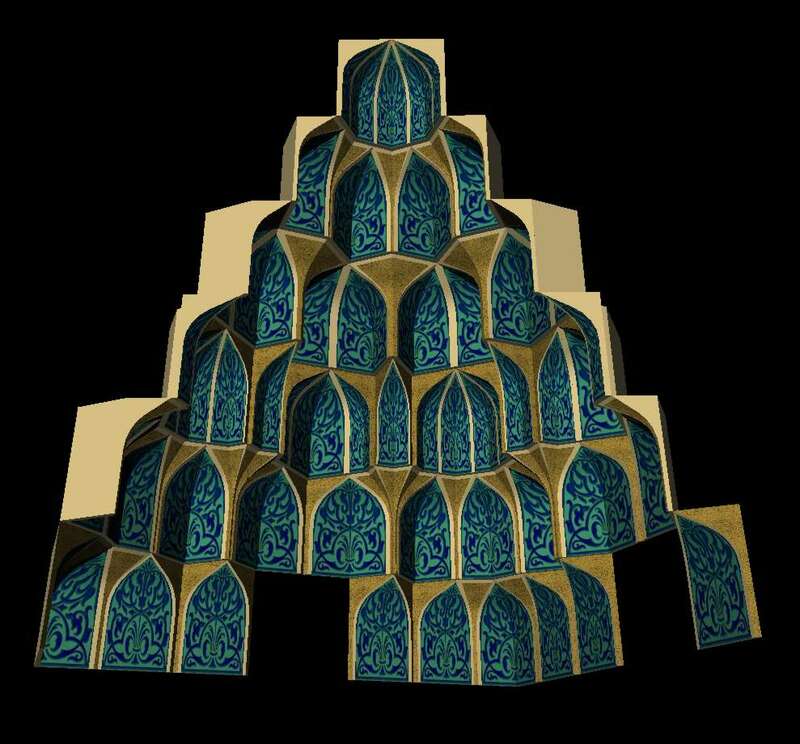 Al-Kashi uses in his computation the module of the muqarnas, defined as the base of the largest facet (the side of the square) as a basis for all proportions. 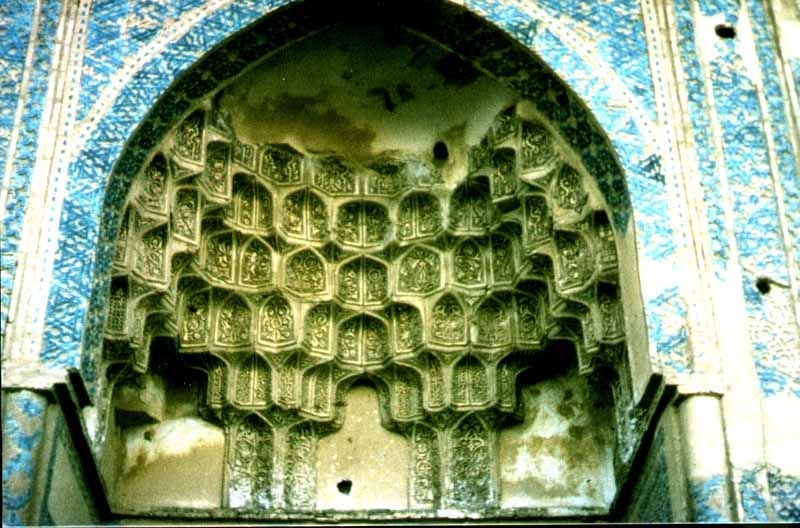 The muqarnas is used in large domes, in smaller cupola, in niches, on arches, and as an almost flat decorative frieze. In each instance the module as well as the depth of the composition is different and adapts to the size of the area involved or to the required purpose. The muqarnas is at the same time a linear system and an organization of masses. There is a relatively unbroken tradition of architectural practice in the Islamic culture. 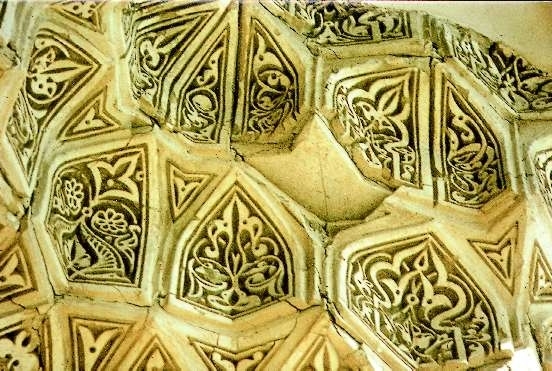 From the Ilkhanid period until today, 700 years later, the elements mentioned above did not change, but at the same time more elaborate muqarnas were constructed in which we find elements like five-, six-, or seven-pointed stars. In this detailed picture of a muqarnas at Bastam (an Ilkhanid shrine situated midway between Tehran and Mashad) you see a few cells and the correlating plan. These cells consist of two facets, or vertical sides, with their curved roof. 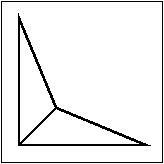 In general a roof can be a flat surface, not parallel to the horizon, or two joint surfaces, either flat or curved. The roofs of two adjacent cells can be connected by intermediate elements consisting of one surface, or two joint surfaces. A row of cells, with their bases on the same surface parallel to the horizon, is called a tier. On the lower tier we see from right to left (in the plan: beginning at the upper right corner of the non-shaded area): an intermediate element based on a small biped, a cell based on a rhombus, then two broken intermediate elements, a cell based on a quarter octagon, an intermediate element based on a small biped, a cell based on a quarter octagon, again an intermediate element based on a small biped and a cell, with only the right facet visible, based on a quarter octagon. On the tier above: a cell based on an almond, a cell based on a quarter octagon, three cells based on an almond with a fourth one being barely visible. The plane projections of the two different types of elements, cell and intermediate element, are simple geometrical forms. There are six such forms that are used most often: square, rhombus, almond (deltoid), jug (quarter octagon), large biped (complement to a jug) and small biped (complement to an almond). 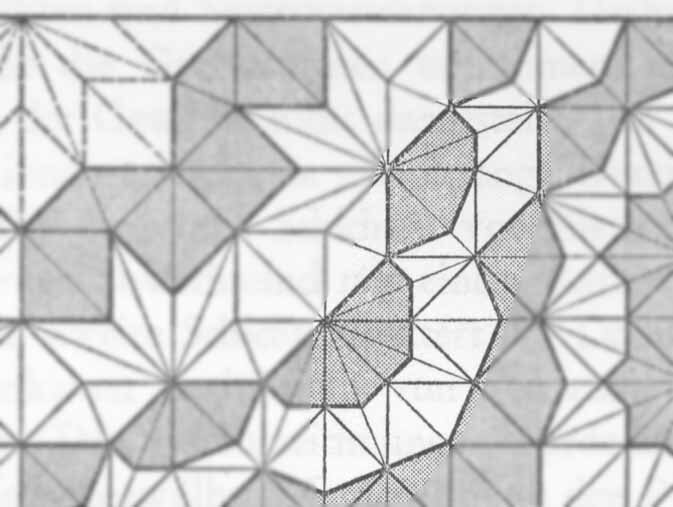 Without context there exists no one-to-one relationship between cells, intermediate elements and their plane projections (see the rhombus example). In the following we present the basic geometrical forms according to Al-Kashi [2, 3] and possible realizations as cells or intermediate elements. The side measuring the length of the module always lies at the bottom of each picture. Rhombus both as a cell and as an intermediate element. Large biped as an intermediate element. Small Biped as an intermediate. The Takht-i Suleyman (Throne of Salomon) is situated in a wide valley at an altitude of approx. 2000 m, ca. 30 km North of Takab, N.W. of Tehran. The Sassanian sanctuary here flourished in the 5th and 6th century and was one of the three main fire sanctuaries. After the Islamic conquest it remained important as a Zoroastrian temple until the 9th century. In the 13th century the Ilkhanid ruler Abaqa (1265-1281) constructed a summer palace on the southern part of the ruins, partly based on the same layout and using former construction material. As the Mongol court was used to living in tents, the construction of the palace was not made for eternity and soon fell to ruins. 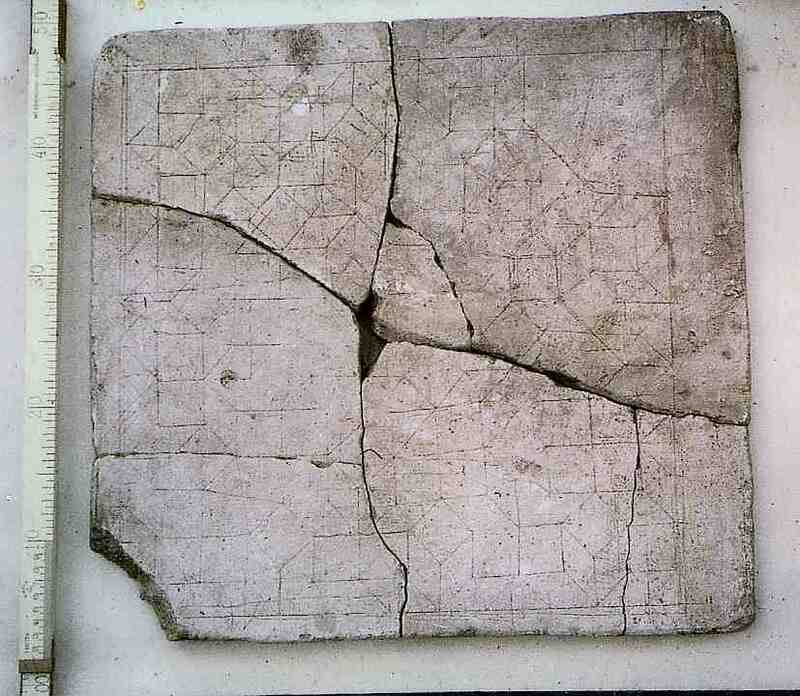 In the ruins of the western part of the palace a plate has been found, which was recognized as a construction plan for a muqarnas vault. In analogy to this plan, Ulrich Harb proposed a possible plan to reconstruct the much simpler south octagon vault . This plan is the base of our construction. This animation [180kB] blends between Harb's plan and our construction. We have completed the DVD/VHS with an accompanying booklet in English. Audio traces are in Arabic, English, German, Persian, and Turkish. Sorry, but we do not ship the video any more. Muqarnas - stalactite vaults - form an essential part of Islamic architecture. The first written reference on the geometrical concepts dates back to a treatise by the famous Islamic mathematician and astronomer al-Kashi (died 1429). The relation between layout and spatial arrangement is the topic of this video. There are a lot of ground plans of existing Muqarnas. Some of these 3D-vaults are still in good shape, others broke down and have to be reconstructed from their plans. However, in many cases even such plans do not exist any more. First we want to convert existing muqarnas plans into the computer in such a way that we can analyze their properties: What kind of elements occur, which elements can be connected and how, what are the possible heights of the succeeding tiers, what about regional differences, cultural differences, differences in time? We aim at a computer program that is able to answer these questions on muqarnas plans automatically. The obvious material to start with are the Illkhanid muqarnas plans in Ulrich Harb's book. These can be compared with existing architecture and thus show limitations in computer possibilities. In the second stage we want to apply these methods to plans which are known to have not been realized, the Topkapi Scroll being our first choice; and we want to apply these methods in reconstructing muqarnas vaults to ruins like Varamin, Iran. It is also planned to produce several 15 min. videos on muqarnas to be used for teaching. We are very sorry to hear about the unexpected death of our cooperation partner Professor Alpay Özdural as a result of a heart attack on 22 February 2003. His invitation to Heidelberg was planned for May 2004. Al-Kashi, Key of Arihmetic, 1429. 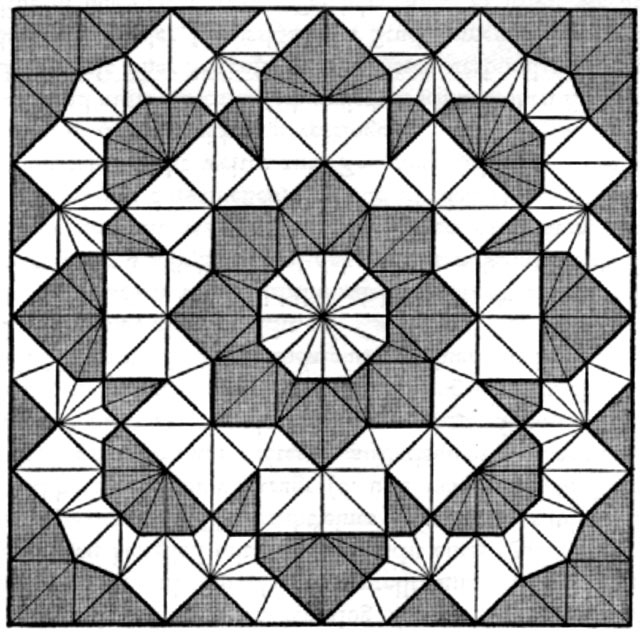 Yvonne Dold-Samplonius, Practical Arabic Mathematics: Measuring the Muqarnas by al-Kashi, Centaurus 35 (1992), pp. 193-242. 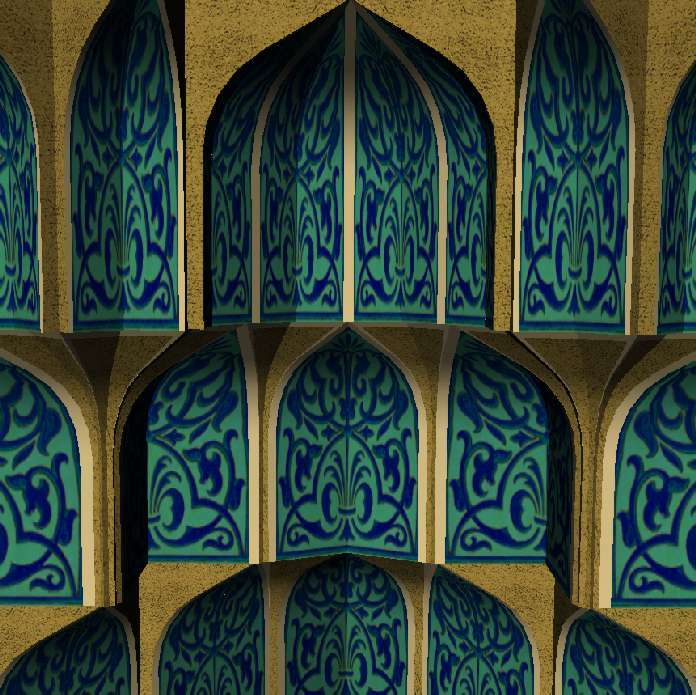 Yvonne Dold-Samplonius, How al-Kashi Measures the Muqarnas: A Second Look, Mathematische Probleme im Mittelalter: Der lateinische und arabische Sprachbereich. Ed. M. Folkerts, (Wolfenbütteler Mittelalter-Studien Vol. 10), Wiesbaden 1996, pp. 56-90. Josie Wernecke, The Inventor Mentor, Addison-Wesley, 1994. Gülru Necipoglu, The Topkapi Scroll - Geometry and Ornament in Islamic Architecture, Santa Monica, CA: The Getty Center for the History of Arts and the Humanities, 1995. Ulrich Harb, Ilkhanidische Stalaktitengewölbe, Dietrich Reimer Verlag Berlin, 1978. We used JPEG images, animated GIFs and VRML models for visualization on these pages. You can browse through the page without an appropriate plugin installed, but you won't see any 3D VRML models and you will miss this nice feature. Which plugin you have to download, depends on your platform and browser. For Irix, MacOS and Windows 3.1/95/NT the Cosmoplayer from Cosmosoftware is available. For Linux and other Unix Systems you need the Xswallow Plugin and an X-based VRML viewer.